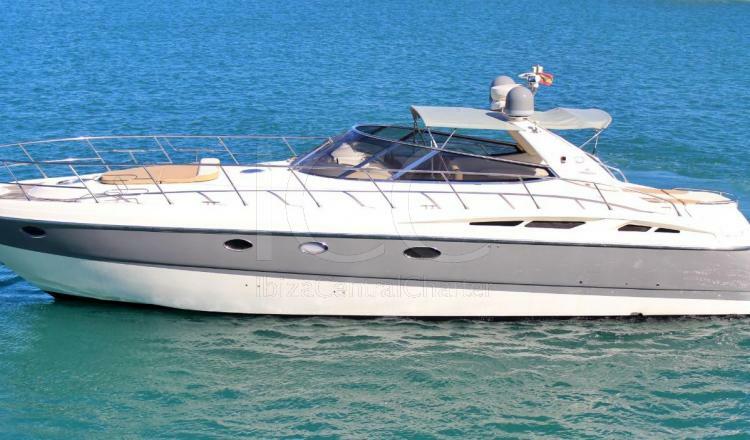 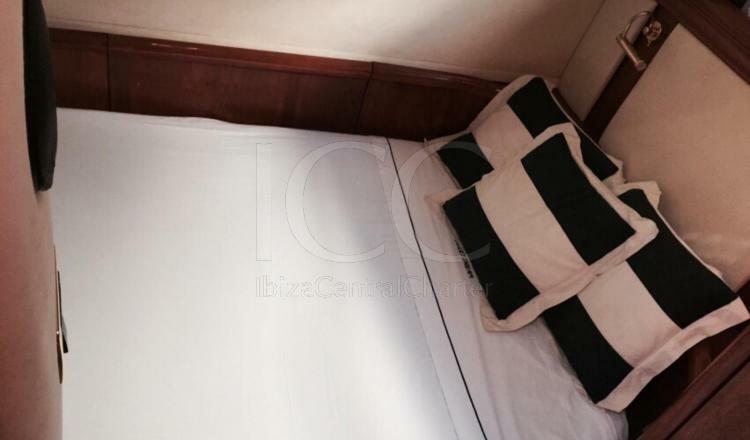 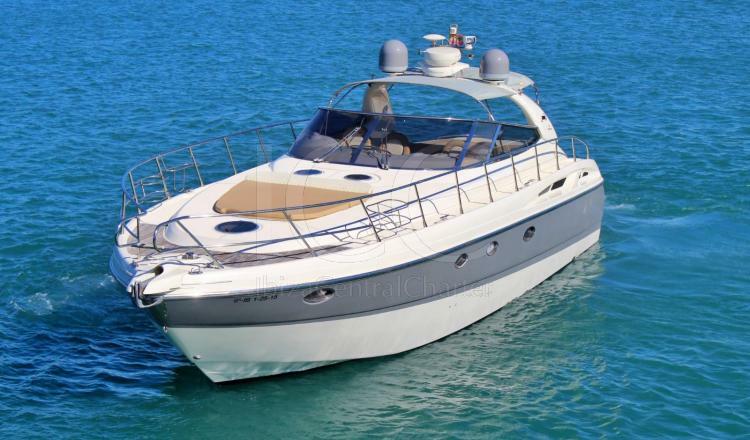 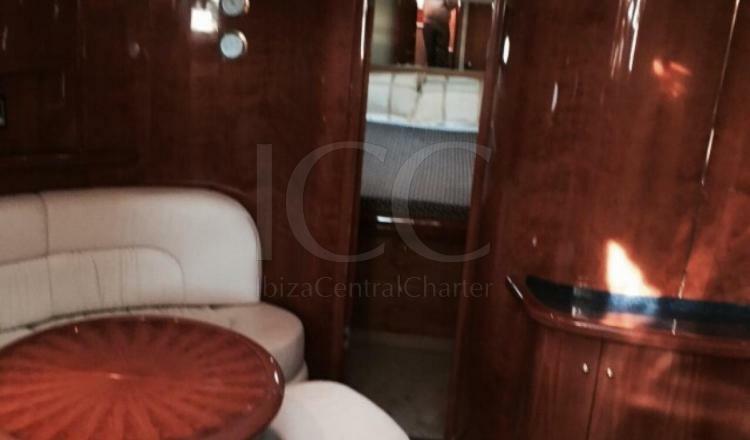 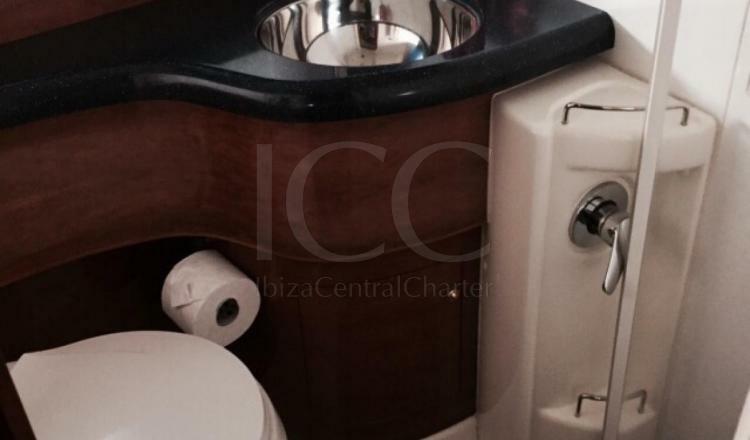 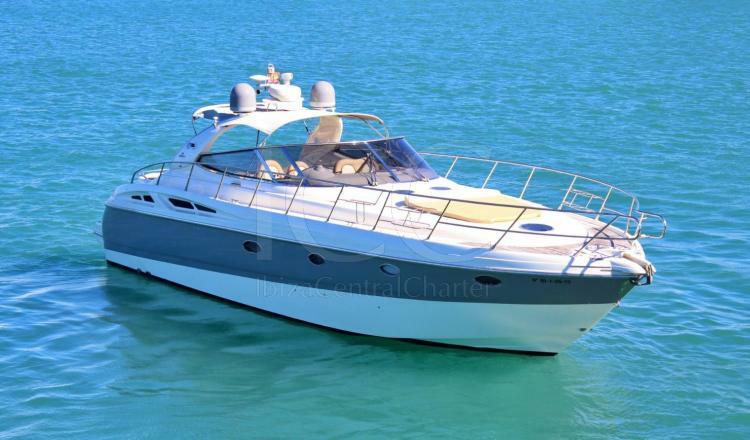 Cranchi 50 becomes a home during your holidays to show you Ibiza and Formentera in the most magical way. 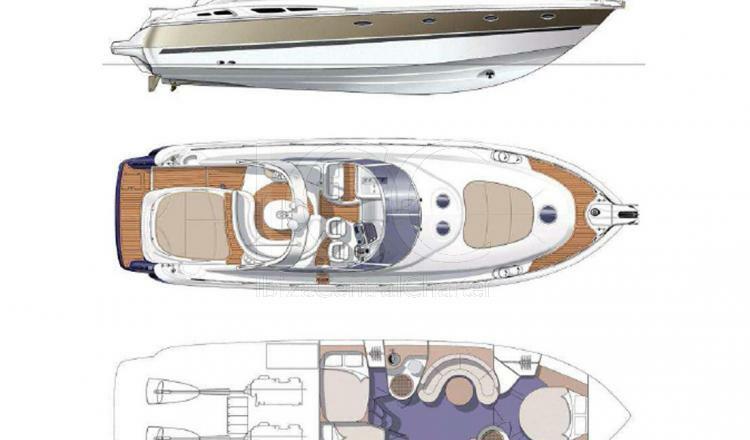 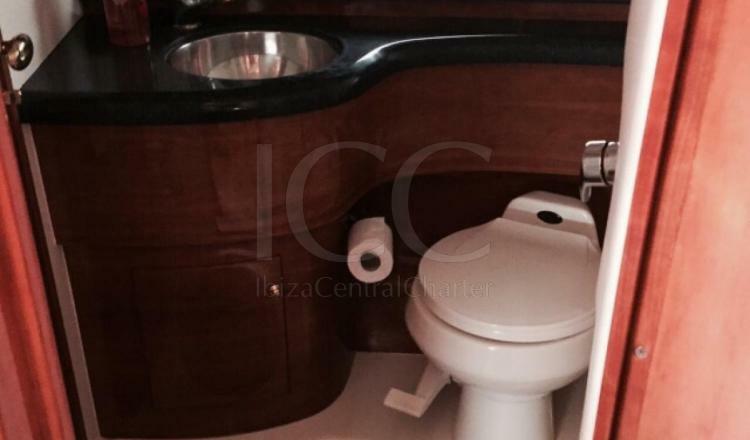 This yacht offers great comfort, design and luxury on board. 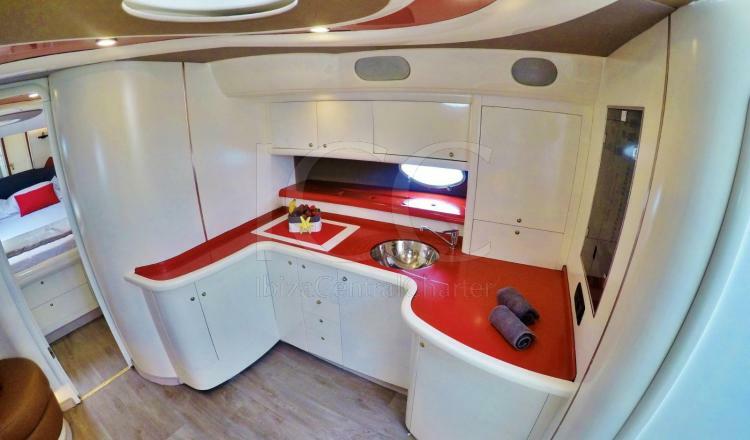 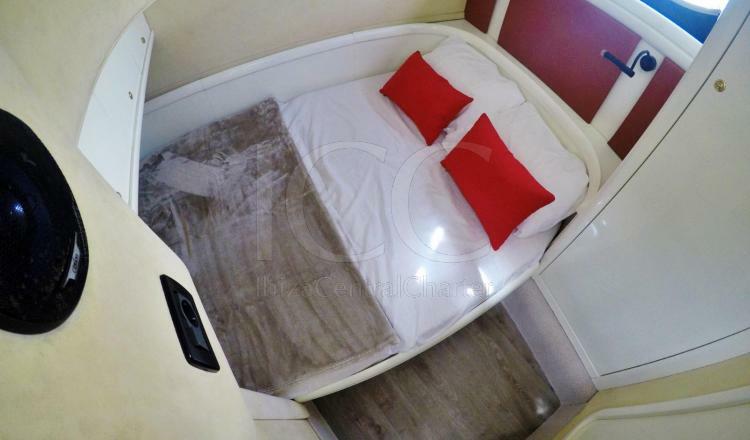 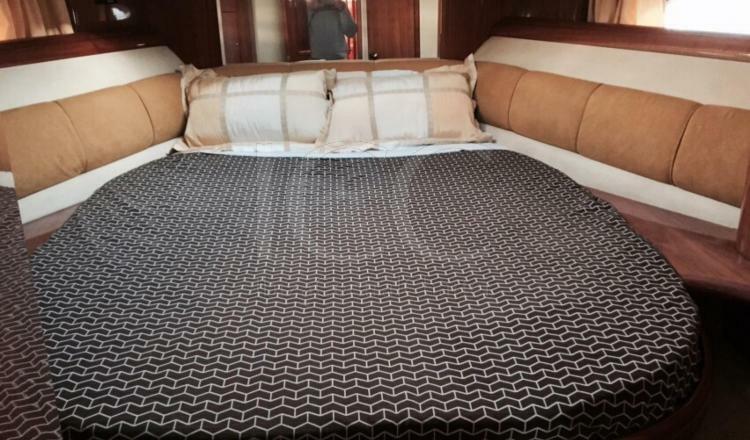 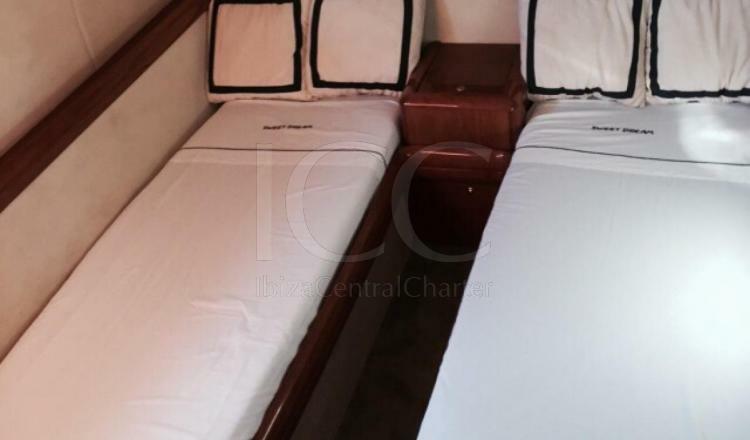 It has 15 meters length that can accommodate an amazing master cabin with size queen bed and cozy private bathroom, two more double cabins, another bathroom and a kitchen. 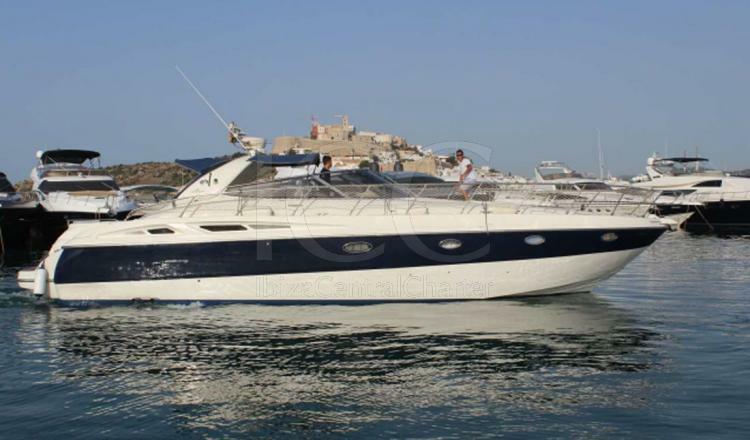 But what it the most loved thing in Cranchi 50 is a large stern solarium and its large cockpit furnished with sofas and an exterior table, the deck of this boat becomes one of the restaurants with better views of Ibiza or Formentera. 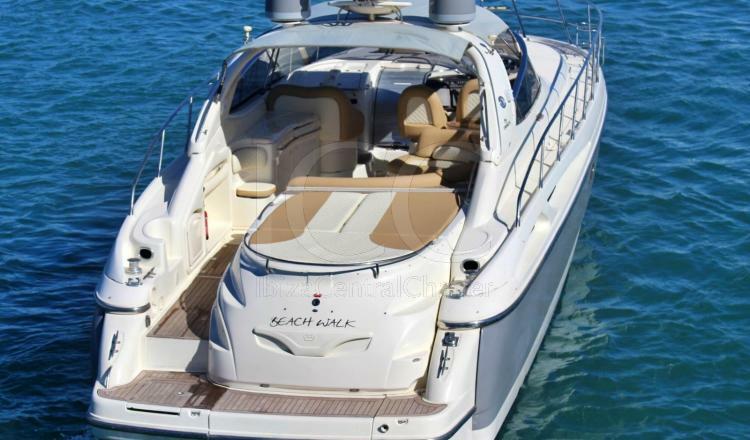 Its swimming platform and bimini are small details that make smiles at swimming times and when the sun heats too much.